(MENAFN - Gulf Times) Food aid in a warehouse on the frontlines of the Yemen war is at risk of rotting, the UN said yesterday, leaving millions of Yemenis without access to life-saving sustenance. 'The World Food Programme (WFP) grain stored in the mills — enough to feed 3.7mn people for a month — has been inaccessible for over five months and is at risk of rotting, read a joint statement by the UN aid chief and special envoy for Yemen. 'We emphasise that ensuring access to the mills is a shared responsibility among the parties to the conflict in Yemen. Hodeidah, and its food silos, have been in the hands of Yemen's Houthi rebels since 2014, when the insurgents staged a takeover of large swathes of Yemeni territories. The coup prompted the military intervention of Saudi Arabia and its allies the following year on behalf of the embattled government, triggering what the UN calls the world's worst humanitarian crisis. More than 10mn Yemenis stand at the brink of starvation. 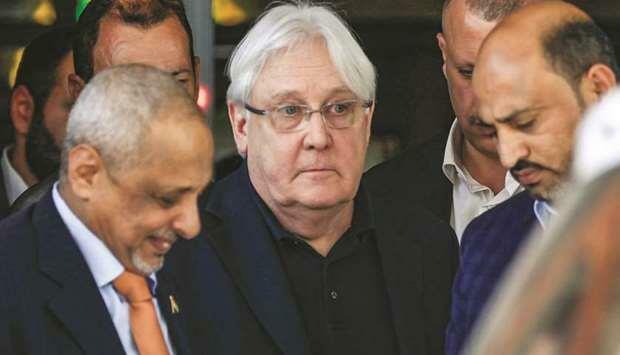 UN Yemen envoy Martin Griffiths, who in December secured a ceasefire agreement for Hodeidah between the rebels and Saudi-led coalition, and UN aid chief Mark Lowcock yesterday said the rebels had made 'efforts to re-open the road leading to the mills in the joint statement.